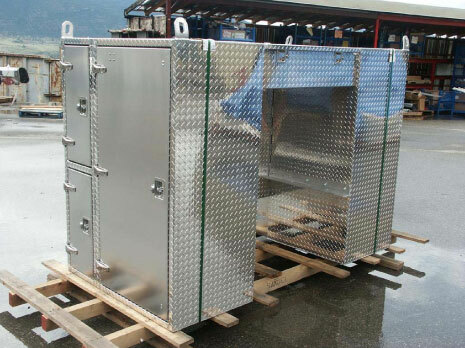 Brutus can custom design and manufacture any item out of steel or aluminum that you require. We regularly build stand alone cabinets, storage racks, pick-up cabinets, tool carts, brand X body modifications, quad and snowmobile decks and van interior modifications. Call Brutus to see how we can help you with your custom project needs.